After the remarkable change from Core 2 Duo to Core i architecture there follows a gentle update of the quad-core processors, which are available since autumn last year. We looked at its effects in detail. First off: The current Intel CPU refresh only brings three models and does not include remarkable architecture changes. Nevertheless, Intel could increase the clock rates, probably because of improvements in the manufacturing process. So, this advancement leads to an advantage for customers. You can assume that the new models will replace the existing Core i7 quad core CPUs (720QM, 820QM, and 920XM). 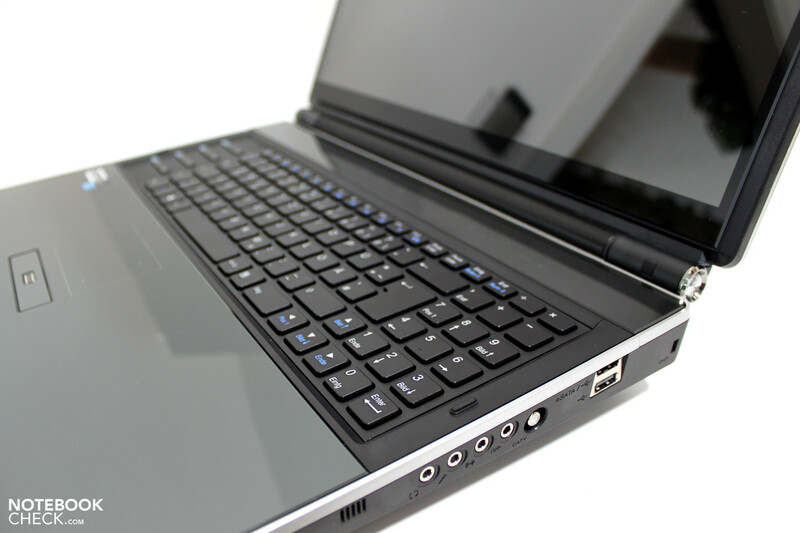 As hitherto, they will mainly be used in high-end multimedia and business notebooks. 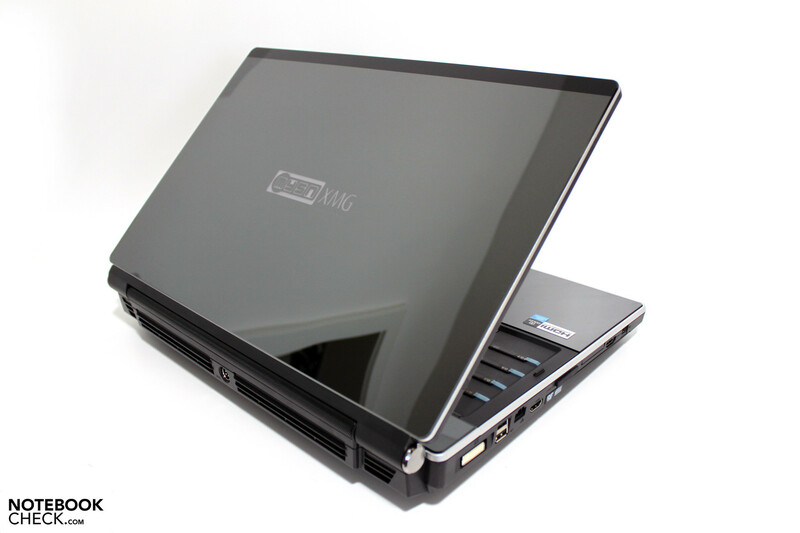 We used the mySN XMG8.c gaming notebook from Schenker as test platform. 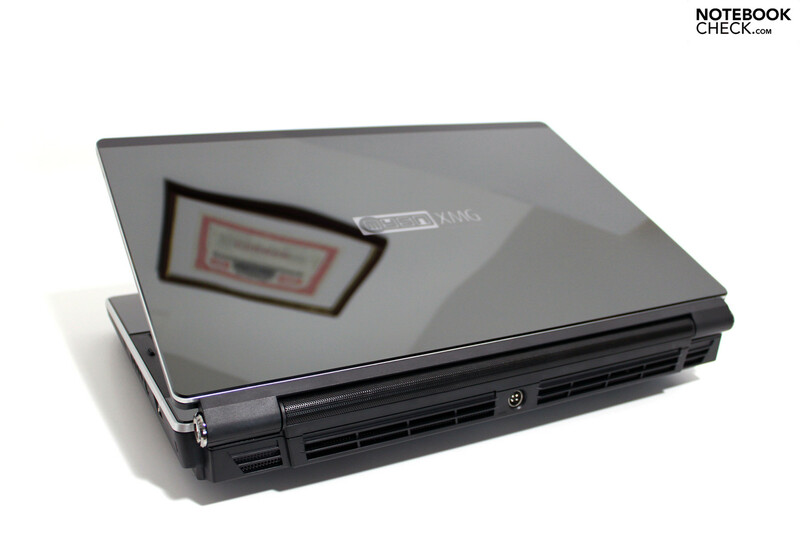 It is possible to equip this 18-inch gamer based on the Clevo X8100 barebone with the most powerful components, e.g., quad core CPUs up to the i7-920XM CPU or even the new Intel quad-core processors and with up to two Nvidia Geforce GTX 285M graphics adapters. 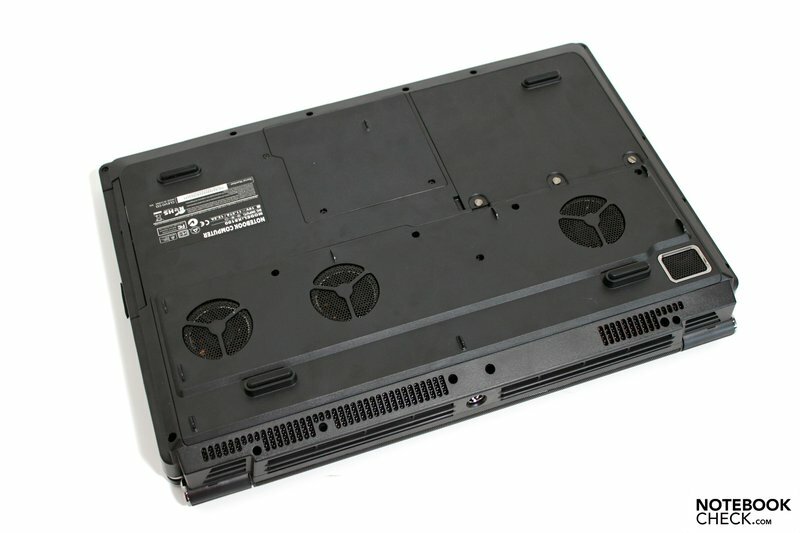 A comprehensive test of a particularly powerful configuration (920XM, 285M SLI, SSD) is available here at notebookcheck.net. 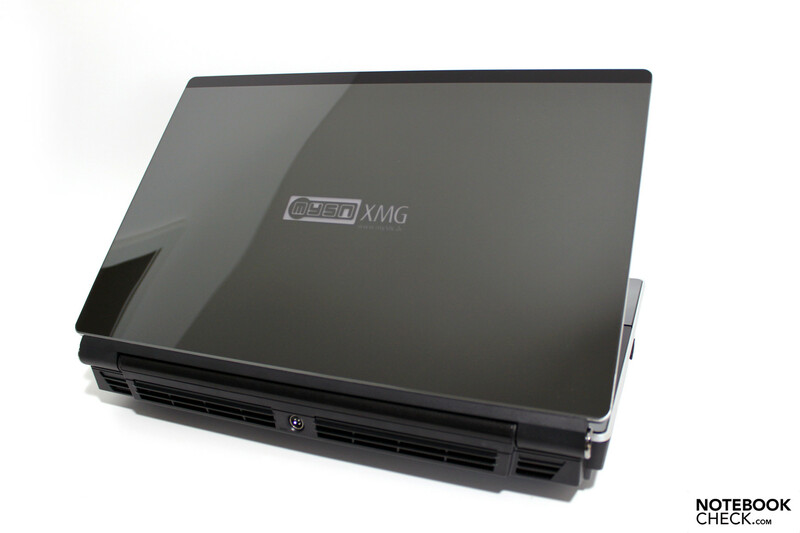 An advantage of the chosen XMG8.c test system is that it is easy to maintain the built-in components. Once the maintenance cover is removed from its bottom side, you can easily get to all replaceable hardware components and replace them. You simply need to remove four screws in the cooper board of the heatpipe, because the CPU fan is directly attached to the cover. Certainly, you should remove the battery and ensure that you are not statically charged before you start. 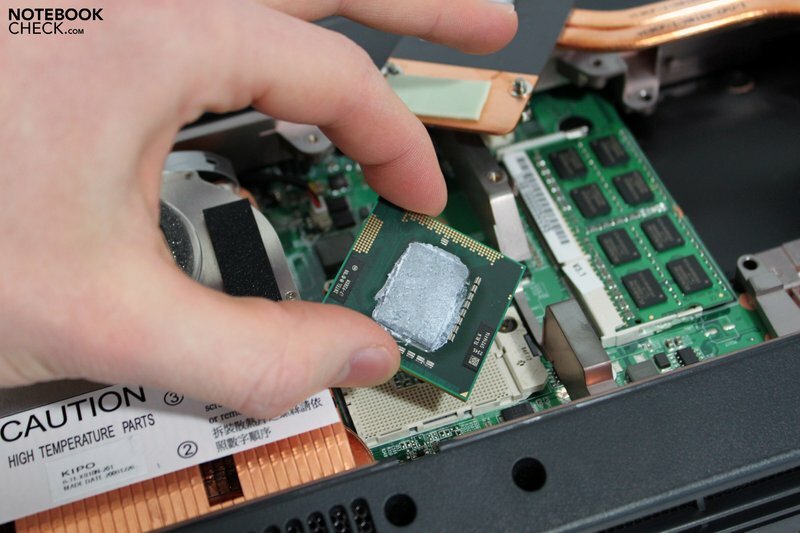 Take care to orientate the CPU properly before inserting it. Furthermore, apply the heat conducting paste carefully. Both, too much or too sparse of the silver compound might have negative effects. We tested the three new CPUs, 740QM, 840QM, and 940XM, and, for comparison, the "old" Intel Extreme 920XM CPU. Corresponding to Intel's Tick-Tock model the current refresh of Intel's Clarksfield family does not bring about essential changes. The 45-nm lithography, the number of cores and threads and the thermal design power of 45W or 55W for Extreme CPUs stay the same. However, Intel enhanced the clock rates. 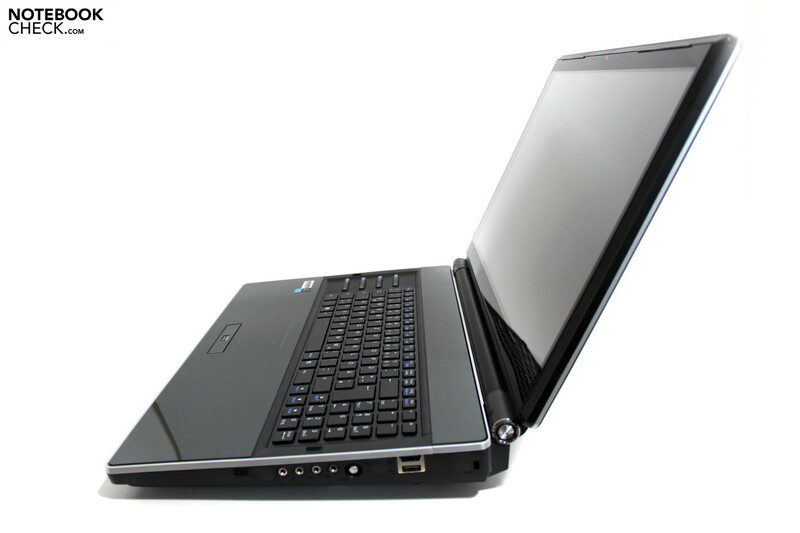 E.g., the base clock of the new i7-740QM is 1.73 GHz compared to 1.6 GHz of the i7-720QM model. Furthermore, the turbo function was improved. It now allows a clock rate of up to 1.86 GHz if all cores are used, up to 2.53 GHz with two cores and up to 2.93 GHz when a single core is used. The clock rate was, for example, limited to 2.8 GHz in the 720QM-CPU. Depending on the application you can expect a performance gain of between 5 to 8% just because of the differing clock rates. Supposably, the increased clock rates are mainly made possible by improvements of the manufacturing process since the introduction of the Clarkfield processors. Therewith, also high-quality CPU-units can be taken from the waver. According to Intel, the stepping (B1) and alike a number of other features remain unchanged (instruction set, DMI connection, memory channels, memory bandwidth). Cinebench is an obligatory CPU benchmark test. It simulates rendering of a picture by a single or multiple (all) cores or threads. 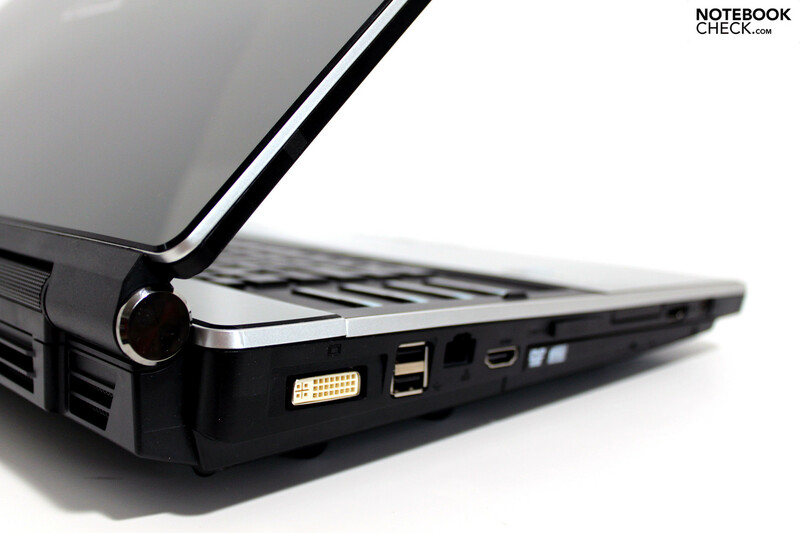 Intel's current Core i-technology with turbo-boost function can demonstrate its strength here. While it benefits from the turbo in single core rendering, it profits from a total of eight parallel thread in multi-core rendering. Thanks to hyperthreading the native quad-core can handle that many. The results of the single CPU rendering as well as of the multi cpu test met our expectations. The new i7-940XM CPU achieves 4479 Punkten and outperforms the current quad core CPUs of the family by somewhat more than 200 points. This is a performance gain of about 5%. In our comparison, the 740QM CPU also is a little better than the 720QM. The average result of all 720QM CPUs we tested so far is 3702 points. This is an improvement of about 5%. The 840QM CPU is a little slower (+2.5%). In the multi CPU rendering the clear advantage of the i7-940XM CPU compared to the other quad-cores surprises. It achieves 14120 points and therewith nearly 3000 points more than the 840QM. The older 920XM is beaten by about 700 points (+5%). Compared to the former CPUs the 740QM CPU is +12% and the 840QM CPU +8,5% faster (average of all data per CPU recorded by us so far). The OpenGL Shading test gave results very similar to the multi CPU test. Even if it is first and foremost a test of the graphics performance, the CPU has a noticeable impact. 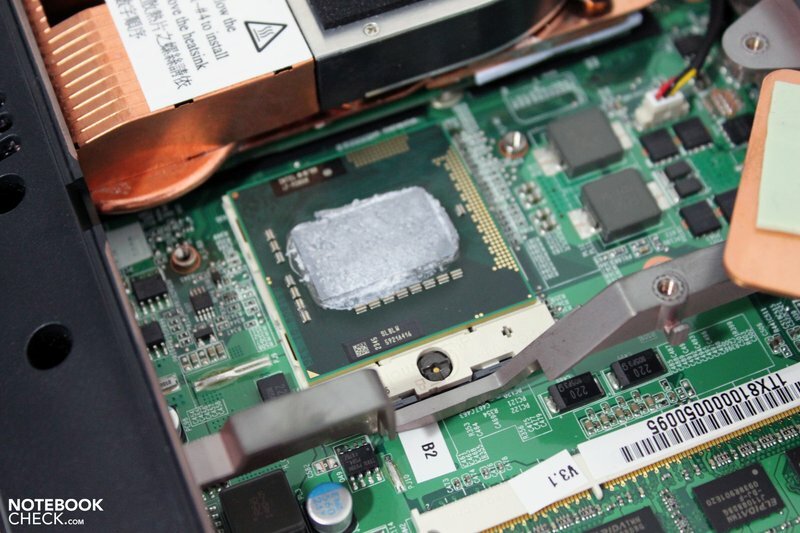 The Intel 940XM-CPU is for example 40% faster than the 840QM-CPU. Since a few month the current release of the Cinebench test is available. It merely consists of a CPU and an OpenGL test. 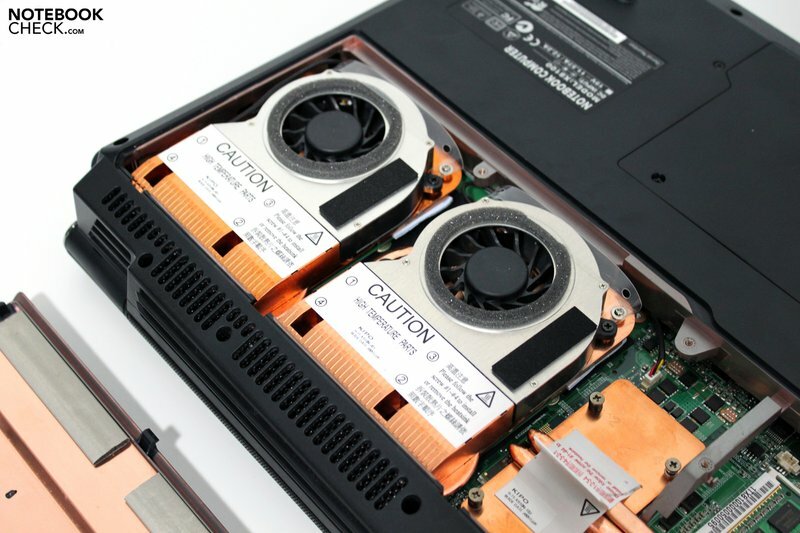 Here, multi-core CPUs can fully demonstrate their advantage. However, the results are overall clearly lower and the difference between the CPUs smaller than in the R10 tests. The OpenGL test shows a similar trend than the previous tests. But, the difference between 740QM and 940XM CPU is just 1.5 frames per second or +5%. Alike, the results of the CPU test are rather similar. The 940XM CPU achieves 0.85 points and is therewith 27% better than the 740QM and about 4% faster than the 920XM. Even if hardly changed since years the SuperPi benchmark is still a widely accepted test in the field of over-clocking. It calculates the number Pi to a pre-configured precision. The faster it finishes, the better. It should be mentioned that SuperPi does not support multi cores. So, the turbo boost, which overclocks single cores is highly appreciated. Calculating one or two million decimals we could only observe insignificant differences in the one-digit second range. It gets more exiting in the 32M test (32 million decimals). Here the 940XM CPU is 102 seconds faster than the 740QM, which is about 13%. Interestingly, the 840QM needs 737 seconds which is only marginally longer than the 840QM CPU (723 seconds). The 720QM needs 800 seconds in average, which is about the same time than its successor. The 820QM CPU is not really better. Its average, which is however calculated from only two database entries, is 799 seconds. Similar to SuperPi also wPrime records the time needed for a complex calculation. However, it utilizes the hyperthreading capabilities of the CPU. The results conform to the conclusions of the SuperPi benchmark tests. Again a high precision is needed to observe a performance difference. Thereby, the 840QM CPU is about on par with the 920XM CPU. The 940XM CPU is about 5% faster. The PCMark Vantage test also belongs to the our benchmark suite. It evaluates the total performance of a system with the help of numerous different tests. Except for a small and unexplainable drop of the 940XM CPU under the level of the 840QM in the gaming test the faster CPUs overall achieved better results. However, alike in the previous tests, the advantages are small. The total score of, e.g., the 840QM is about 5% better than of the 740QM CPU. The 840QM is 5% more powerful than the 940XM CPU. Interestingly, the 920XM CPU falls with 11018 points marginally behind the 840QM CPU again. Although the 3DMarks mainly measure the graphics performance, the CPU somewhat influences the performance if systems with the same graphics hardware are observed. According to experience this is clearer in the 3DMark 2005. Here, the 940XM exceeds the 720QM by 19%. Achieving 18709 points, the 840QM can again outperform the so far fastest CPU, the 920XM. In the more GPU-oriented 3D Mark 2006 results differ less. E.g., the difference between the most powerful 940XM and weakest 740QM CPU is just 2000 points or +14%. Its separately displayed CPU-result shows a clearer advantage of the 940XM CPU. The 840QM CPU cannot even reach the level of the old 920XM CPU. The graphics performance gains even more importance in the current release of the 3D Mark benchmarks. This can also be seen in the results. The total score of the 940XM Extreme CPU is just 4% higher than of the 740QM CPU. The older 920XM CPU is marginally better than the new Extreme CPUs. The difference is even smaller in the GPU-score of the test. Only the 740QM CPU differs significantly from the others. In the CPU-test the relative strength is similar to the results of the previously executed CPU-oriented tests. The 940XM CPU is again clearly the best and about 4000 points or 15% better than the 740QM CPU. The 920XM is just behind, but, 1500 points better than the 840QM CPU. Even if the GPU is most important in current games, choosing an appropriate CPU can sometimes help achieve a slightly better performance. To find out how much it will differ, we ran some older and current games. Ever since its launch, the demo of Crysis is an important benchmark. It even drives gaming bolides, such as the mySN XMG8.c, to its limits again and again. In general the results of the integrated benchmark correspond to the 3DMarks recorded earlier. The influence of the CPU falls when the graphic details are risen. E.g., at medium detail the 940XM CPU is still 24% better than the 740QM CPU. At highest graphic settings (very high) the advantage drops to +13%. Regardless of the settings, the results of the 920XM CPU are always between the ones of the 940XM and the 840QM CPU. The results of the strategy game Supreme Commander are very similar. At medium details, the 940XM CPU can do 5 frames per second (fps) more or +11%. If the graphic demands are increased to high, it's just a little more than 1 fps (+4%). Finally, we also picked a representative of race games, Dirt 2. Interestingly, the results differ from our previous observations. E.g., the i7-840QM CPU achieves 43.4 fps, that is close to the top result of 43.5 fps for the 940XM CPU in the integrated benchmark. The 920XM CPU is with 42.7 fps slightly slower. The 740QM CPU is with 39.2 fps somewhat defeated and about 10% slower than the 840QM CPU. The results to not differ much at very high graphics settings. However, the 840QM CPU performs even marginally better than the 940XM CPU. The 740QM is again about 10% behind. Apart from a slightly higher clock rate the new Core i7 quad core CPUs bring hardly any changes. The TDP (Thermal Design Power) of 45W of the 740QM and the 840QM CPU and of 55W of the two Extreme chips, the reviewed processors are not really energy saving. 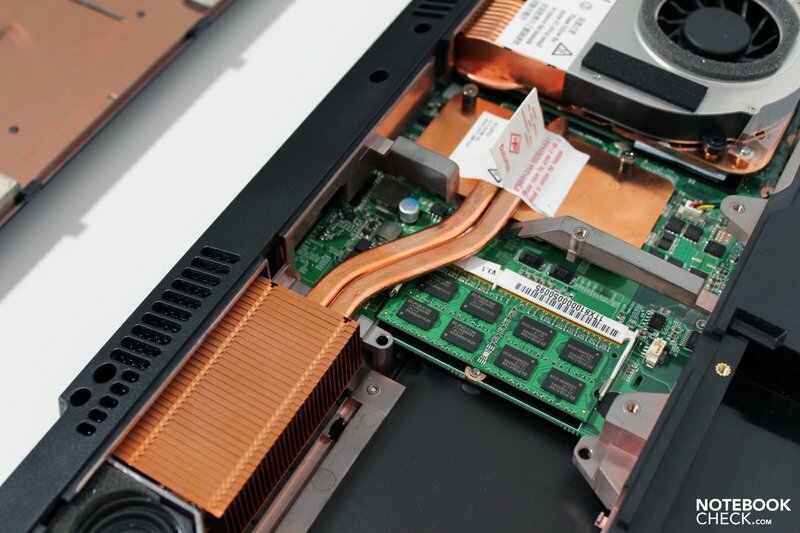 Even if some features of the processors can optimize the power consumption, they will hardly be used anywhere else than in powerful desktop replacements, where battery life only comes second. We measured the power consumption of our test system during the benchmarks mentioned above. In idle mode the maximum wattage ranged between 57.4 and 62.3W. Thereby, the configurations with Extreme CPUs required 3-5W more than those with 740QM and 840QM CPUs (35W TDP). The difference gets most apparent during the stress test with prime95, which fully loads all available cores. Here, the two Extreme processors require about 20W more. We could nearly copy the former Clarksfield CPU test's verdict here. The processors still profit most from the turbo boost technology, which improves the performance of the quad-cores in applications which only use a single or a few threads. The performance of the CPUs is perfectly adjusted to the actual performance demand, because single cores can be fully deactivated if not needed and do not unprofitable consume power. In the CPU-oriented benchmarks the performance of the processors differ much, e.g., up to 30% when rendering pictures. However, only professionals who utilize such software which really demands the potential of the processors, will actually profit. The choice for standard users will be likely limited to the affordable Core i7-740QM processor, which can definitely keep up with the other models of the family. The results of the PCMark Vantage CPU were close together. In the gaming tests the higher importance of the GPU got apparent again. Finally, it is the limiting factor regarding graphic details, while, in the best case, the CPU can only slightly improve the performance by a few frames. This trend gets especially apparent comparing old and new games or benchmarks. 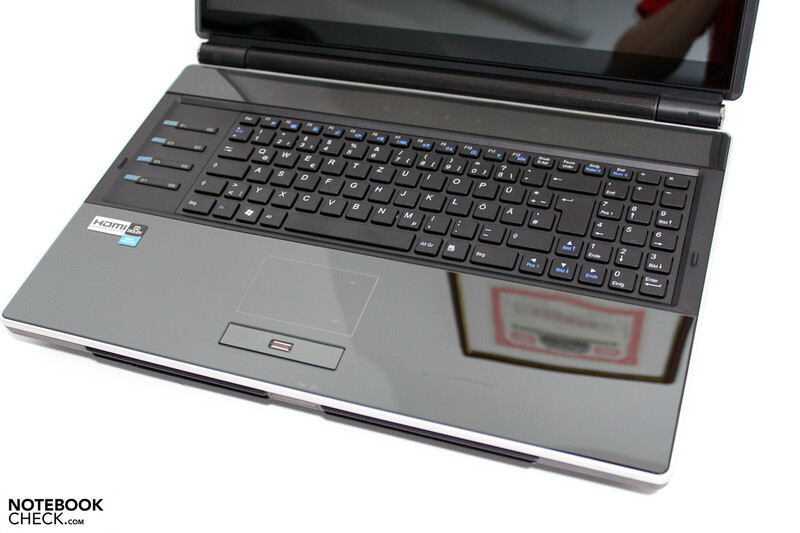 Compared to the current Clarksfield CPUs the models of the refresh are slightly better. The performance gain of the 940XM CPU compared to the so far most powerful 920XM is in the one-digit percent range. The ratio between the weaker models and their predecessors should be similar. Interestingly, the 840QM is even on par with the 920XM CPU in some applications. Even if the new processors from Intel aren't a revolution, they will sooner or later replace the current models. It will get exiting again when Intel takes the next "Tock" step, aka "Sandy Bridge" after this "Tick". At that time the quad-cores will likely get a completely new architecture in 32 lithography including an integrated graphics unit. It's going to be interesting. 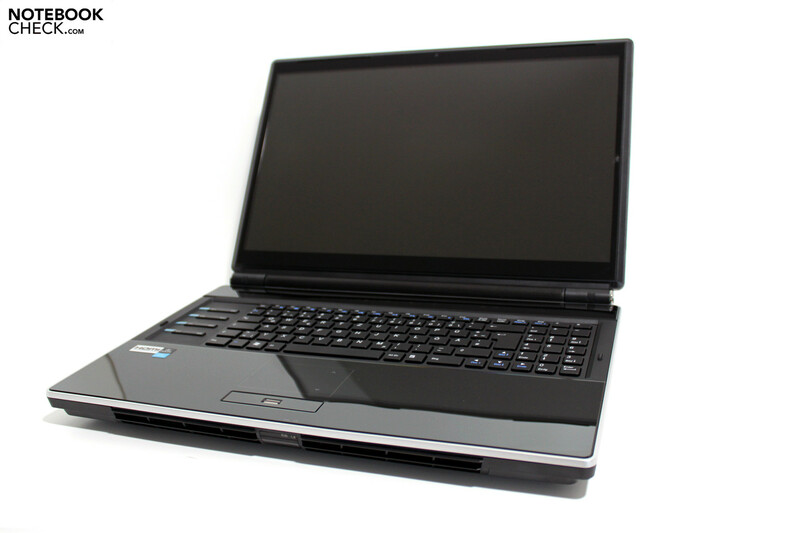 Intel Core i7 CPU Refresh "Clarksfield"
Many thanks to Schenker-Notebook who kindly provided us with the test system. Here you can configure and also buy it.